Antony has just released a very short teaser video for his upcoming EP Another World (October 7, Secretly Canadian). The teaser is, as mentioned, short and also confusing, but the song, the title track, is quite lovely and will please any and all fans. The song is also the first single from the highly anticipated full length The Crying Light, which will be released January 2009. What is this horrible thing yuo are linking? Is it some sort of a mockery of somone else who uses too much vibrato? He can't be singing like that seriously and calling it music. Is it supposed to be comedy? 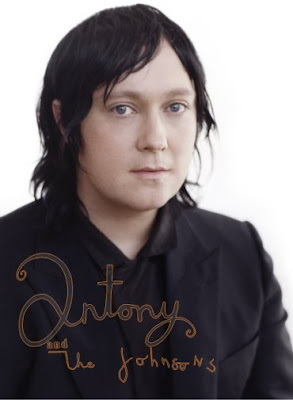 Nat, it is Antony and his Johnsons. You are the comedy here and thank you for it, for I have now been up for 23 hours straight, 11 of those hours on my aching feet... and yet now I laugh, ha ha. Christ, now i finally go to bed. and after a while we are still - thankfully - obliged to use our good humour to help educate some brats musical knowledge.